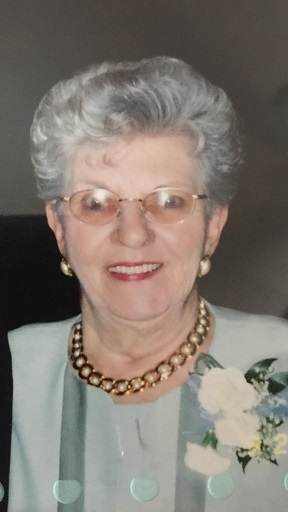 Obituary for Joyce T. Flitcroft | D.L Calarco Funeral Home, Inc.
Mrs. Flitcroft was born March 22, 1928, in Massena NY a daughter of Bernard P. Keenan and Margaret Garey Kennan. Mrs. Flitcroft graduated from Brasher Falls High School in 1946 as valedictorian of her class, the Mercy School of nursing in 1948 and received her bachelor’s degree from Empire State College in 1977. A marriage to Wayne Corbin ended in divorce. On February 14, 1981, she married James B. Flitcroft in Watertown. Mrs. Flitcroft began her career as a registered nurse at Mercy Hospital, later she was a case worker for Jefferson County Social Service and retired in 1987 as a registered nurse for JRC. 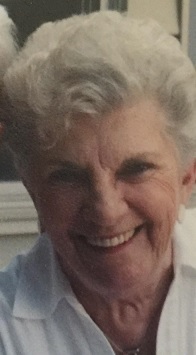 Mrs. Flitcroft was a communicant of Our Lady of the Sacred Heart Church and Saint Paul’s Catholic Church, Black River and belonged to Mercy Hospital School of Nursing Alumni. She enjoyed skiing, golfing, snowmobiling, camping and traveling with her husband. Surviving besides her husband are two daughters and their husbands Karen (John) Graffi, Felts Mills, Constance Corbin (Randy Flitcroft), Raleigh, NC, five stepchildren, Bonnie (Richard) Vandyke, Lacona, Gale (Gary) Parker, Copenhagen, Dale (Nancy) Flitcroft, Carthage and Sue Johnson, Syracuse. A son Gary, a brother John “Jack” Keenan and a sister Patricia Dacey died before her.